The overhead doors of the Monsour Medical Center in Jeannette, Penn. has investigators digging deeper to find the real source of a fire. According to reports, the fire broke out Sunday, December 8 in the early afternoon, causing “moderate damage” to the general dock area. 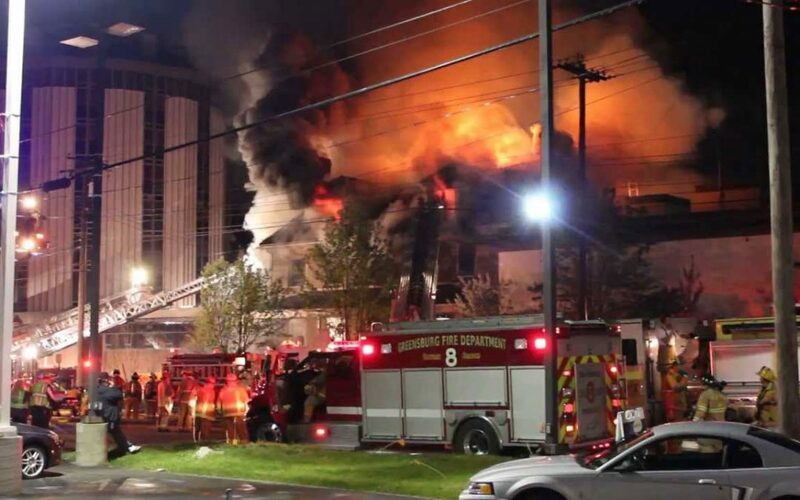 However, the Pennsylvania police fire marshal calls the finding “suspicious.” The medical center used to be a full-scale hospital, though it currently doesn’t have any electrical service in the area damaged by the fire. Jeannette Fire Company Sgt. Bill Frye says the overhead door had been forced open, which has them suspecting a break-in or vandalism. Inside the dock area, furniture and debris were damaged by the fire as well as a wall that used to separate the dock from the emergency room. Some of the flames licked up to the roof. Frye says the fire was reported at 5:33pm and firefighters got the flames under control within ten minutes of arrival. It took another 30 minutes to completely extinguish it. However, what a lot of locals are questioning is why the doors were pried open—and what this means for the safety of other buildings in the area. Until then, it’s quite possible criminals, pranksters and vandals will continue to target the area, especially now that it’s clear the overhead doors are easy to force open. Since the rest of the building is in such disrepair, it’s no surprise that no upkeep has been made on the exterior doors, which seem too tempting for mischief makers to resist.